We have twelve retail firework stores in Wisconsin. Store hours vary, especially September through April, please call ahead. During the off-season, January through early spring, please contact us by email for the quickest response. 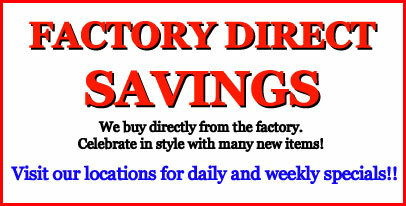 Click here to view and print the latest coupons and specials. Copyright (c) 2008 Victory Fireworks, Inc. All rights reserved.